Our 1 bedroom with king bed, 2 nightstands, 32″ flatscreen tv and walk-in closet. 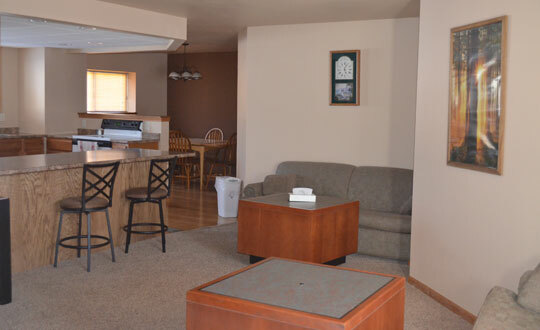 Full bathroom with whirlpool tub, living room with 51″ tv and 2 queen sofa sleepers. Full kitchen and a private deck off kitchen with charcoal grill access (seasonal). Max occupancy 6 people.